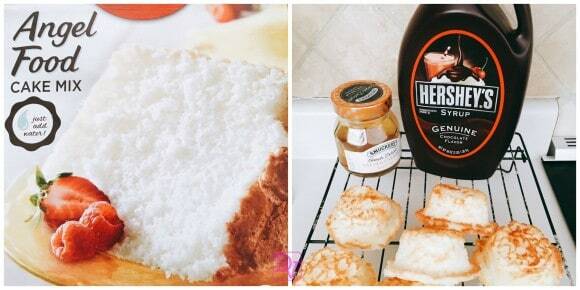 Angel Food cake is so delightful, light, delicate, and airy, it is almost like nothing every passed through you mouth, yet so Angel Food cake is satisfying. As a young girl, my Grandmother Stella always made the most delicious, light and airy angel food cakes and when one made its way into our house it was devoured. My grandfather had a heart condition and could only eat this type of cake as it was a healthier alternative to most other types of desserts. 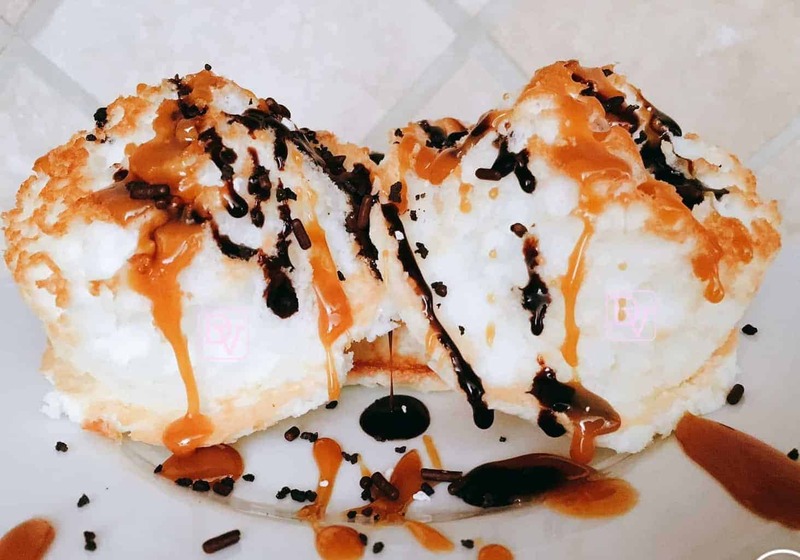 Recognizing the fact that Angel Food is delicious and can be created in many forms, I set out to make an inverted Angel Food Cupcakes with Salted Caramel and Chocolate Sauce. 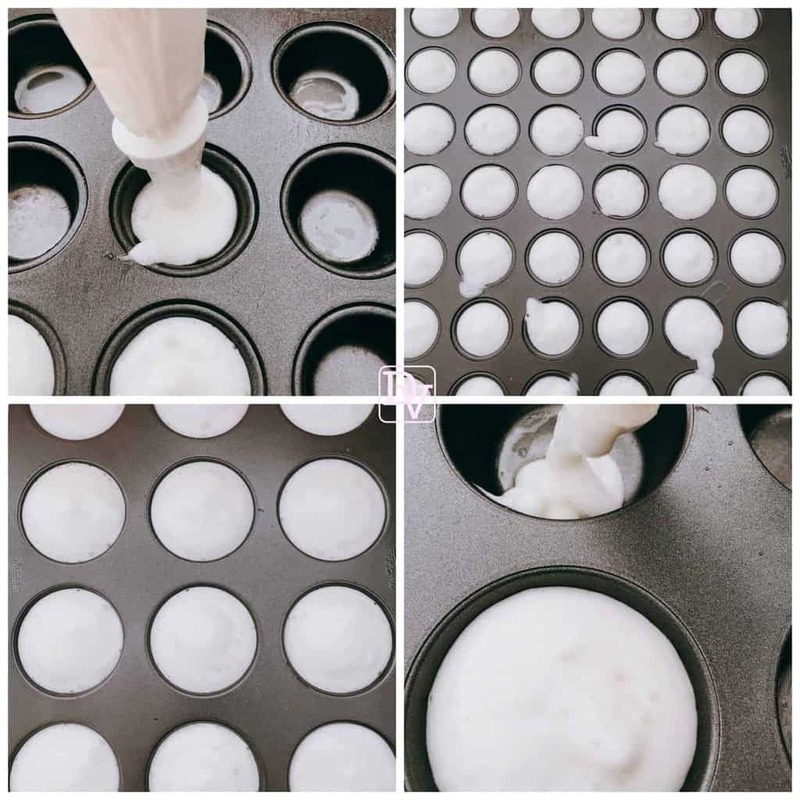 What is so ingenious about these little creations is the fact that you are using your cupcake pan in a different way! Let’s use our cupcake pan to create inverted Angel Food Cupcakes and lavishly live desserts out loud. You might think there is a lot of ‘doing’ to get this cupcake made, but in all honesty, this is the easiest cupcake you WILL ever make because no matter how the top turns out, the bottom is all you need to worry about. Get ready, set and make your cupcakes and then we are going to INVERT them and dress them up. Mix Cake Mix according to box instructions. Invert onto cooling trays when done baking and allow to cool, don’t worry that they are flat, you are using the other end. Both Minis and Large are ready to go. Cupcakes do not need to be big and puffy, flat is fine you are using the part that is in the muffin tin, again look at my photos, you are using the cupcakes upside down. Do make sure these are thoroughly baked and thoroughly cooled before using. You can use any kind of ice cream topping to dredge along these I chose this combination as it is popular. Store any uneaten (like that’s gonna happen) in the refrigerator. You can sprinkle these with some candied sprinkles if you like for more of a color pop. Here’s the how-to video . That’s it, these are super easy to make inverted angel food cupcakes with salted caramel and chocolate sauce. I love the fact that they are so quick to bake and the end result is individual servings., Lavishly live food out loud and dig into the lightest airiest cupcakes. What topping will you put on your inverted angel food cupcakes? Invert onto cooling trays when done baking and allow to cool, don't worry that they are flat, you are using the other end. Wow, this loooks so good! To be honest, I have a feeling that it will become my wife’s favorite special! I will try to prepare it as an surprise for her, I wonder what will she do if I cook her something so delicious? Salted Caramel is LOVE! I love the unique idea here. Cupcakes, caramel and chocolate all together?? Count me in! These look delightful! Inverted cupcakes! Great idea! This looks so amazing! Looking forward to try it! Oh my goodness, the cupcakes look heavenly! I can’t wait to make this for my family. Oh wow, these look so yummy, I was just thinking what sweets to make tomorrow and it just happens I have all the ingredients! Inverted angel food cupcakes here I come! Claudette recently posted..Power: It’s Yours, So Claim It! Those look really delicious. 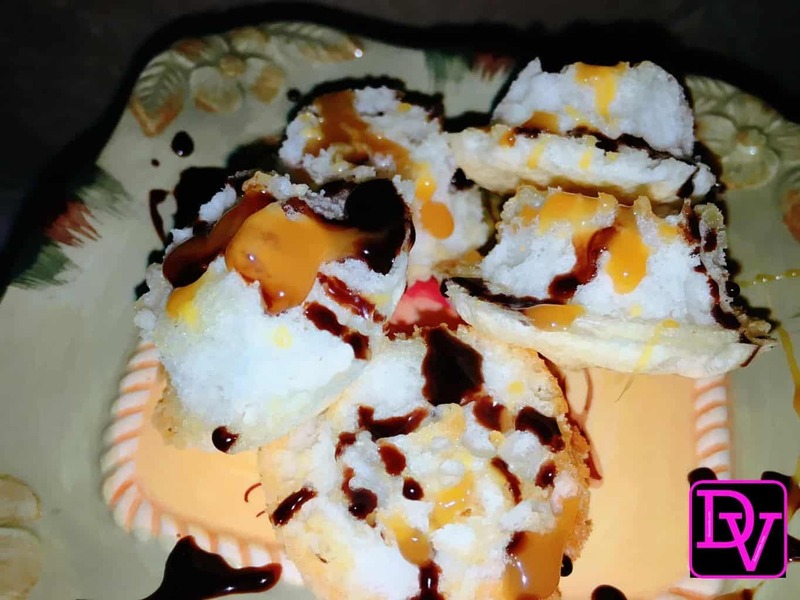 Angel Food Cake is my all time favorite and I can’t wait to try your recipe. 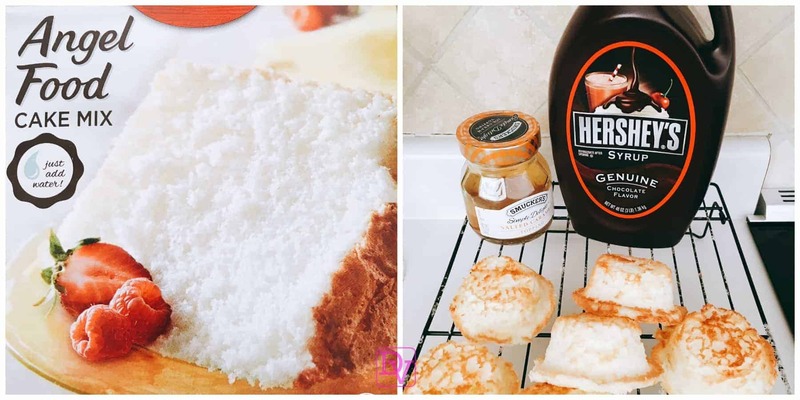 I love salted caramel it is delicious and these angel food cakes look heavenly! Oh wow, these look unique and yummy! I really want one! What a cool way to serve cupcakes. I need to make these. WOW! That’s pretty amazing. I don’t know why I never thought of doing this before. Now I’m tempted to make some. Thanks for the awesome idea.